Still half the holiday left! If you’re looking for something inspiring to watch with the kids, why not check out any of David Attenborough’s documentaries? Christmas eve tonight! Why not snuggle in with your family and watch the movie on how Jesus was born according to us? May help answer a lot of questions in our children’s minds about Christmas, as well as emphasise our similarities in honouring him too? 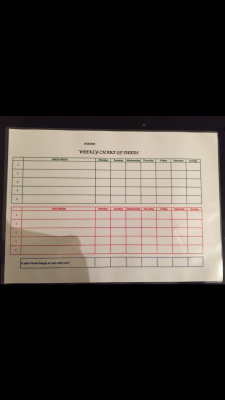 “There is a group of girls conducting activity for kids 0-5. Recently we did this from a very different angle and would like to share it with you. Our topic was love and we started by singing ‘I love you, you love me’ song because young kids love their mums the most :). 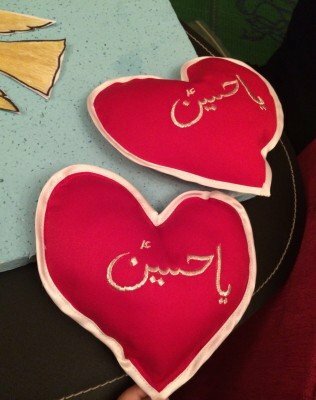 From there we explained that mum loves Imam Husayn (as) and that’s why we go to majlises and Imam loves us so much. 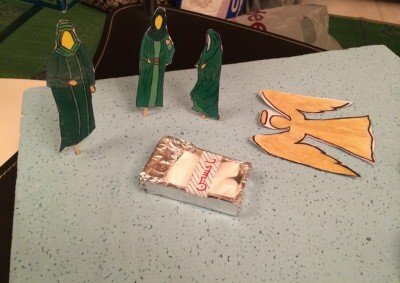 He is so special that when he was born he started giving gifts and here we told them the story of FITRUS getting his wings. Then we explained we cry, do azadari and share food for Imam and the things that Imam would also love us to do, like pray – we all went to Sajdah and did Shukar. Imam would also like us reading Quran so we did 2 ayahs with actions. Finally Imam loves Azadari. We love our Mum and Imam loves his mum too. Therefore we said ‘Abd Walkah Ya Zahra…’ to end with. 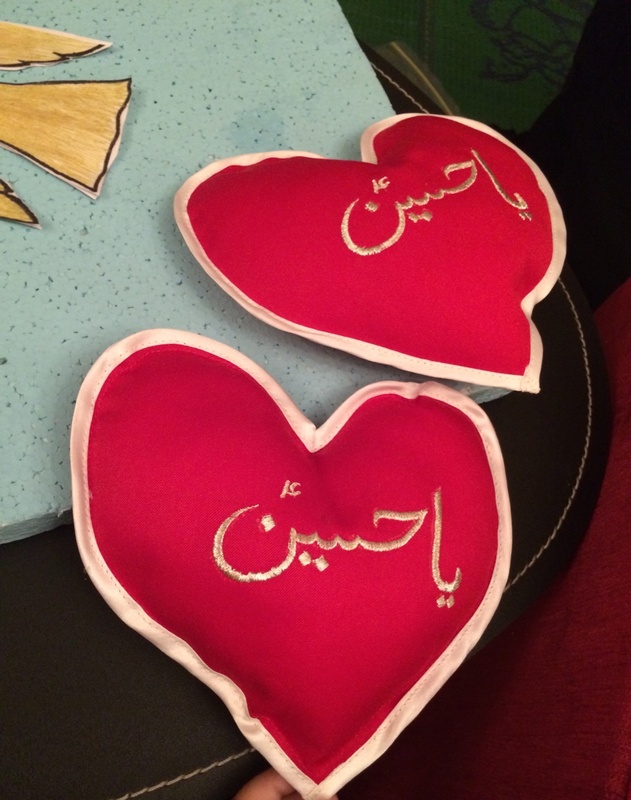 We gave away heart pillows with Ya Husayn written for kids to hug live and connect with Imam. 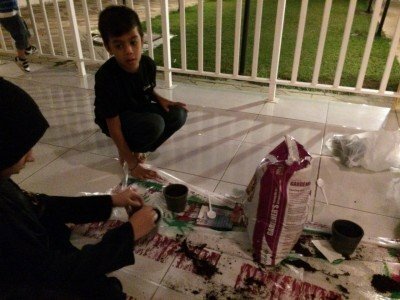 “Alhamdulillah I was blessed to conduct this Interactive workshop/majlis for my son and few of his friends age 5-6 years at home. Our mummies love us sooo much, and she wants to know each and everything that we do eg in school. Did you know Allah loves us 70 times more than our mums. He also wants us to talk to Him about everything. Draw hand and explained how to make Dua. Pray for family/ people far from us/ imam Mahdi/Those sick and ill/ and lastly pray for yourself. Allah says He will accept our Duas if done via Imam Mahdi so we should pray through him. 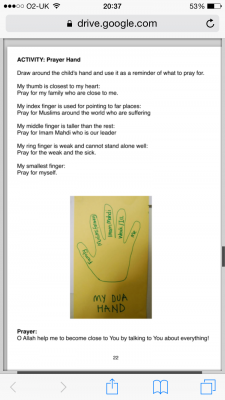 All kids wrote arizah with their mummies help using the “letters to my Imam” book of buzzideazz, using their hand model that they had drawn. We were blessed that one of the kid, was going for iran ziarat the following day. We handed over the arizahs to this little girl to put it in the well behind masjide jamkaran in iran. This well is a place where people put their arizahs to Imam Mahdi, Imam visits this masjid every Tuesday. Santa fulfils wishes only once in December. Imam Mahdi will fulfil our wishes anytime when we raise our hands in Dua and anytime we write to him Ariza. But when Dua is not accepted, know that it’s because it’s not good for us. Eg:- if we pray for chocolate factory, Allah may not accept as it will spoil our teeth. 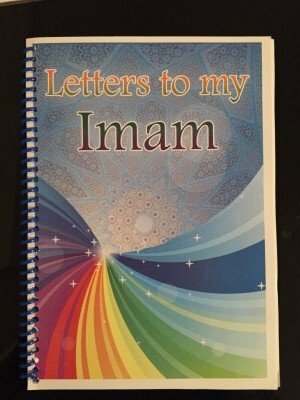 So whenever you want to talk to imam Mahdi write to him using this book which they all were given to take home. Sitting in one place and praying to be amongst the supporters of imam mahdi isn’t sufficient. We need to do action too. Cited example of Bibi Hajras Dua for water and her running from safa to marwa in search of water. Because of which we have zamzam water flowing till today. Showed them a house model with 8 windows. 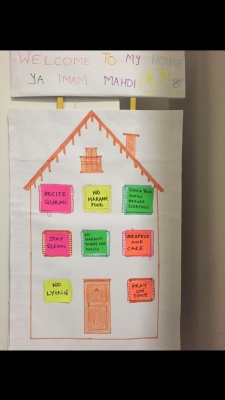 Asked the kids to think about what deeds they would do that would make imam Mahdi come to our house and we stuck those deeds using cardboard on the windows. Check your deeds before sleeping. Then kids can assess if their imam is happy or sad with them by putting a smiley face or a sad face. Will we be the thieves or will we be with the police in catching/fighting the thieves? 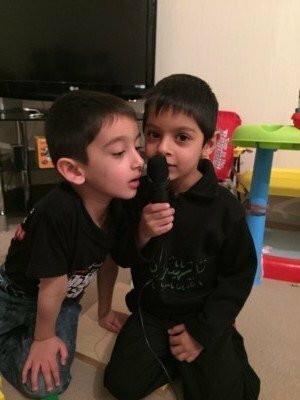 How can we help imam when he comes when we are just 5-6 years old? We need to prepare ourselves just like bibi Sakinas example. In kerbala, we had bibi Sakina who was 4 years old. Inspite of all the tortures and especially in the jail in shaam, she never missed her Namaz, woke up in the cold mornings for subh namaz, until one morning when she didn’t wake up when she had already passed away. 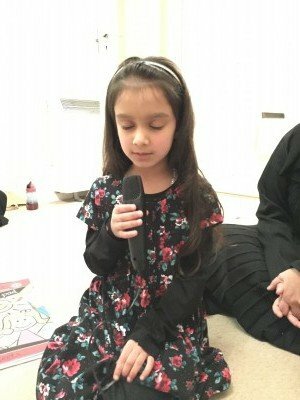 A 5 yr old girl then recited for us a poem about bibi sakinas tortures. Then we had two boys recite Dua hujjat and then we had matam and ziarat. A bond with Imam e Mahdi volume 14, printed and presented by Al Mahdi (as) Centre -ladies wing, Dar es salaam.